This is a baby quilt I made for my cousins baby. I love this pattern from Craft Nectar, it's great for using scraps without making it look too scrappy. 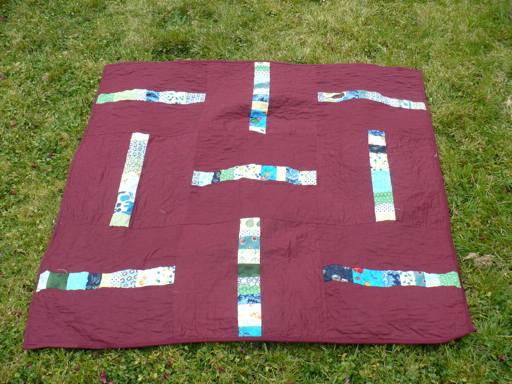 I think sometimes scrappy quilts can end up looking like a colour mangle, but this pattern has a lot of negative space, and I find it more pleasing to look at. The rust coloured fabric is actually a cotton lawn from spotlight, which I picked for the colour, with the added side benefit of being half the price of the quilting fabric. 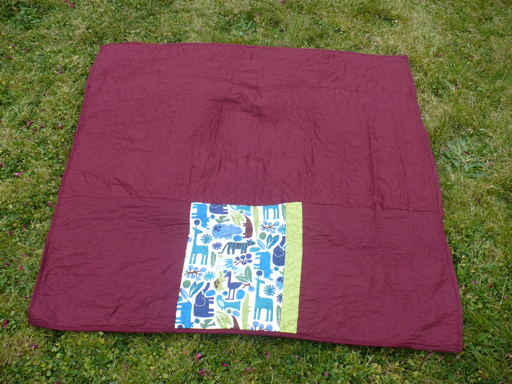 Instead of using batting on the inside, I used flannelette, which makes a nice summer weight quilt.